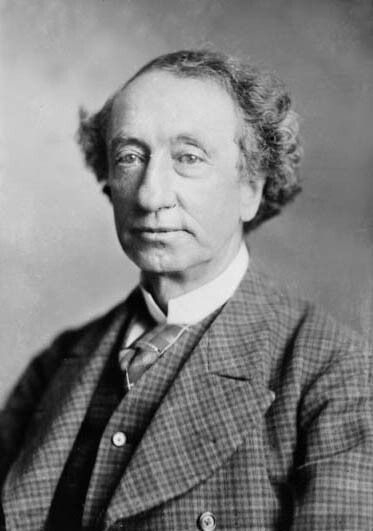 11 January 2012 marked the 197th birthday of Sir John A. Macdonald, the Dominion of Canada’s first Prime Minister. 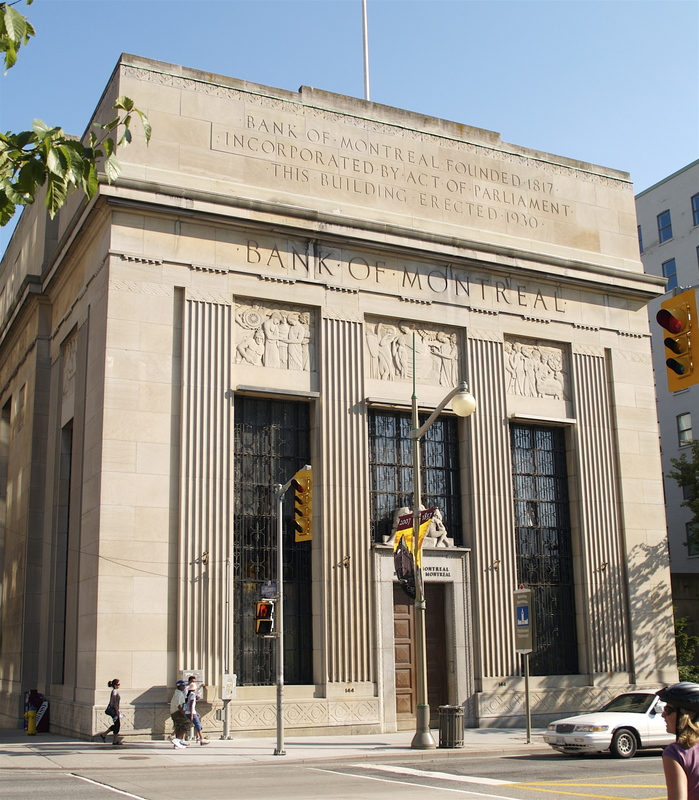 To celebrate the anniversary, the federal government named a former Bank of Montreal branch in downtown Ottawa the “Sir John A. Macdonald Building.” For the story, see here. For an image of the building, see below. I understand the desire to honour the Dominion of Canada’s first Prime Minister. I also think that it is appropriate for Macdonald’s name to be associated with banking, since legislation passed by his government played an absolutely crucial role in the evolution of Canada’s financial sector. The system of trans-continental branch banking that had emerged by the time of Macdonald’s death in 1891 paralleled the political union that Macdonald had constructed between 1864 and 1873. However, it is singularly inappropriate to name a former BMO branch after Macdonald, as the Bank of Montreal helped to bring down the Kingston-based Commercial Bank, as this was the bank with which Macdonald was most closely connected. The financial crisis of 2008 took out banks around the world, but Canada’s financial institutions weathered the storm. In a scholarly article that was published just a few days ago, I show that the foundation of Canada’s distinctive (and famously stable) banking system lies in a series of banking laws passed in 1870-1. Former Toronto branch of the Commercial Bank. This branch is now within the atrium of BCE Place in downtown Toronto. A close examination of the rather murky politics of banking in the Confederation era shows that the policies of the Bank of Montreal, which involved a relatively restricted approached towards credit and the expansion of the money supply, helped to cause the October 1867 collapse of the Commercial Bank. In the 1860s, Montreal and Toronto were engaged in a struggle to see which city would emerge as Canada’s financial capital. The Dominion was in its infancy and the stakes were high to see who would be dominant in the new nation. This struggle pitted banks in the two cities against each other– and it also badly divided Macdonald’s own cabinet, since some of his supporters were from Montreal, others from Toronto. One victim of this struggle was the Commercial Bank, which was headquartered in Kingston, Macdonald’s own riding. It is today generally forgotten that Confederation on 1 July 1867 was followed by an awful financial crisis that brought down the Commercial Bank a few months later. The new federal government could have used its resources to prop up this bank. Indeed, Macdonald probably would have done so had he had a free hand in the matter. After all, he had reasons to feel grateful to the Commercial Bank, which had extended many soft loans to him. However, the supporters of the Bank of Montreal in Macdonald’s cabinet effectively vetoed the idea of a bailout for the Commercial Bank. Similarly, Canada’s first Finance Minister, A.T. Galt, pressured the Bank of Montreal to contribute to a private-sector bailout package for the Commercial Bank, something that the Bank of Montreal refused to help out with. The failure of the Commercial Bank forced Galt to resign his position as Minister of Finance because he had lost much of his personal fortune with it. (Galt was later able to rebuild his fortune). It also devastated the city of Kingston, which henceforth was a financial satellite of the major cities. Macdonald managed to get through this crisis with his personal finances more or less intact. Most of Macdonald’s personal debts were owed to the Commercial Bank, which had long displayed a rather generous attitude when it came to their repayment, largely because of Macdonald’s political clout. When the Commercial Bank failed, Macdonald’s obligations to it were assigned to the Merchants’ Bank, a Montreal-based institution controlled by Sir Hugh Allan. This bank continued the Commercial Bank’s practice of allowing the loans to go unpaid. It should be noted that Macdonald’s government later awarded the lucrative contract to build Canada’s transcontinental railway to a syndicate that included Sir Hugh. Indeed, this contract was at the centre of the Pacific Scandal, the affair that brought down Macdonald’s first government. There is a saying that laws are like sausages– those who like them shouldn’t watch them being made. The backroom political deals that resulted in the post-Confederation banking laws were sleazy by today’s standards. However, I would argue that these statutes were actually quite beneficial and paved the way for present-day Canada’s impressively stable financial sector. Thanks in part to the laws passed by the first post-Confederation parliament, Canada went on to develop a banking sector that was, in many ways, superior to that of the United States. You can read more about this is my article “Continental Divide: The Canadian Banking and Currency Laws of 1871 in the Mirror of the United States” in Enterprise and Society: The International Journal of Business History. See here.